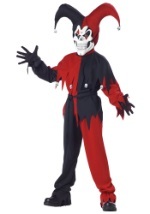 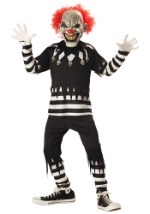 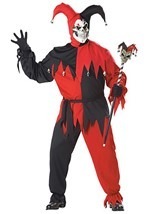 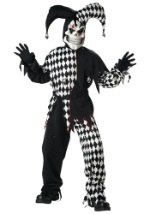 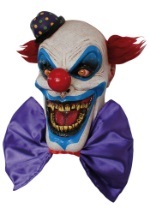 You will become walking proof of the fact that clowns are just demons in disguise with this coulrophobia clown mask. 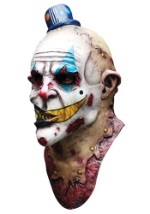 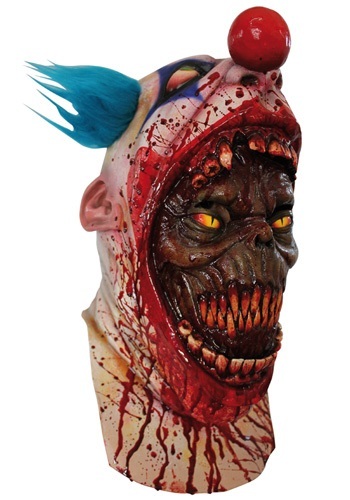 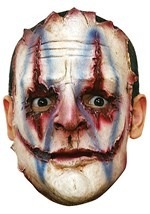 This gruesome mask features the face of an evil demon emerging through a dead clown's mouth. Detailed blood splatters cover the front of this mask. 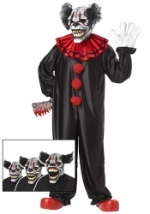 There are slits just above the yellow demon eyes to provide clear vision for you to see the terror on the faces of those you encounter. 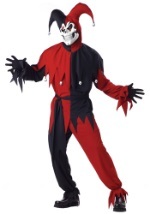 A slit in the back makes getting into this horrible character comfortable and easy. 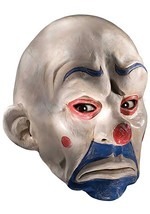 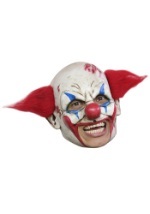 Add this nightmarish clown mask to any adult clown costume.